I thought to give it a try and share it on my page as well on Facebook. 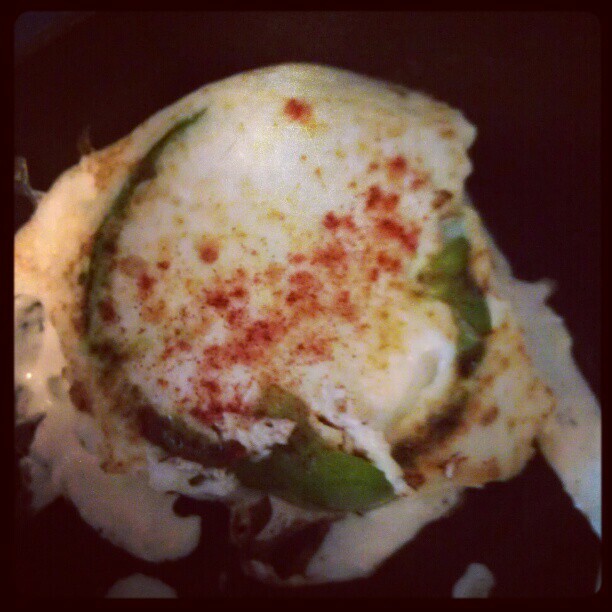 Here is my adventure with what I like to call Peter Piper’s Eggy. 1. 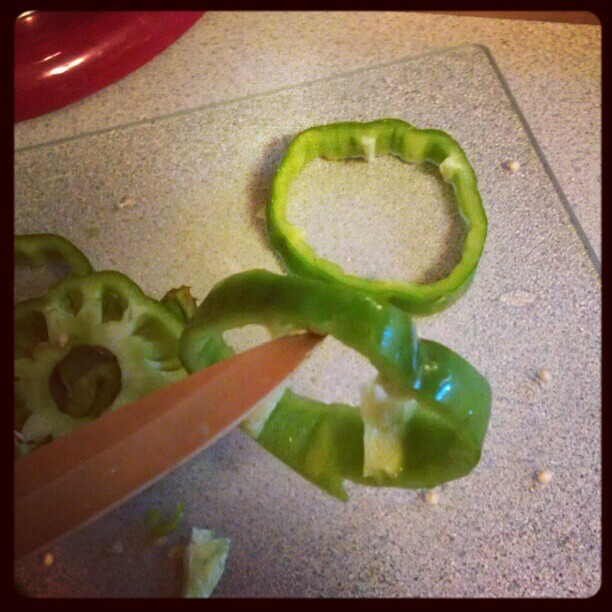 Cut your peppers (any color you wish) into 1-2 inch thick slices for each person. You will also cut your tomatoes 1/2 inch to 1 inch thick if you plan to put it in the middle of your pepper. 2. 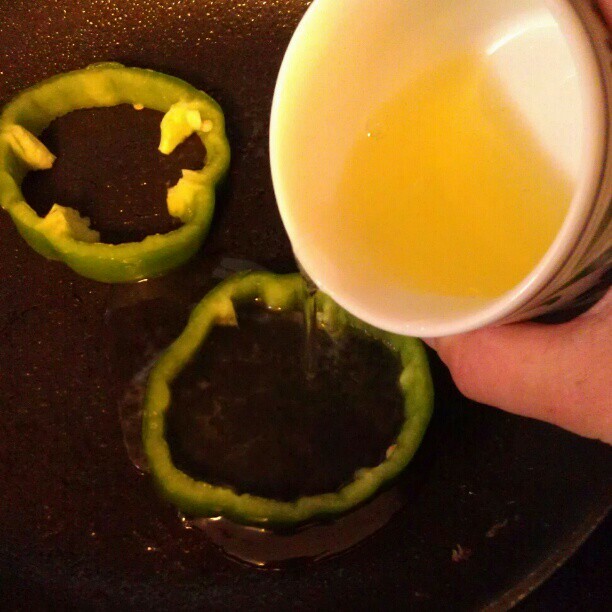 On Medium-high heat, place your peppers in a sprayed skillet. When hot, pour a little bit of egg whites for the base. Let it turn white and now you can add your tomato in the middle if you want to. Then place your egg on top to cook. Flip once firm on one side and fast. I’m never good at the flipping part, but it worked for me this time. 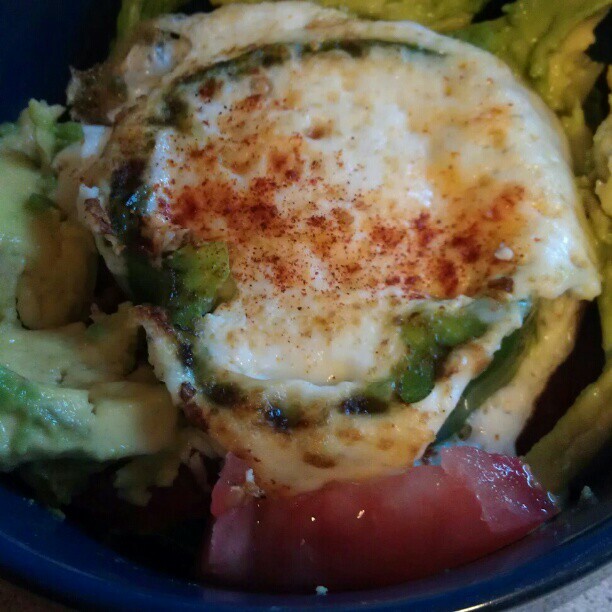 I put paprika on both sides of the egg each time I flipped. Paprika makes me think of deviled eggs. It may not have turned out as pretty as the picture that inspired it, but it was very delicious. Maybe with a couple more tries I can get it to look just as nice. Please post pictures of yours if you try this! peter leeds Pretty nice post. I just stumbled upon your blog and wanted to say that I have really enjoyed browsing your blog posts. After all I will be subscribing to your feed and I hope you write again soon! It’s called Fruit Shake on wordpress 🙂 Thanks for the compliment.